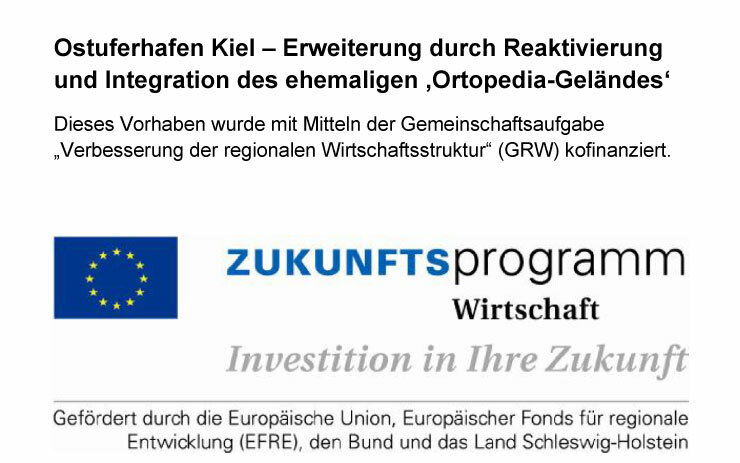 The expansion of Kiel’s Ostuferhafen has been funded by the federal state of Schleswig-Holstein out of its Forward Planning Programme: Economy (ZPW) and co-financed by the GRW – a community-based initiative aimed at improving regional economic structures. 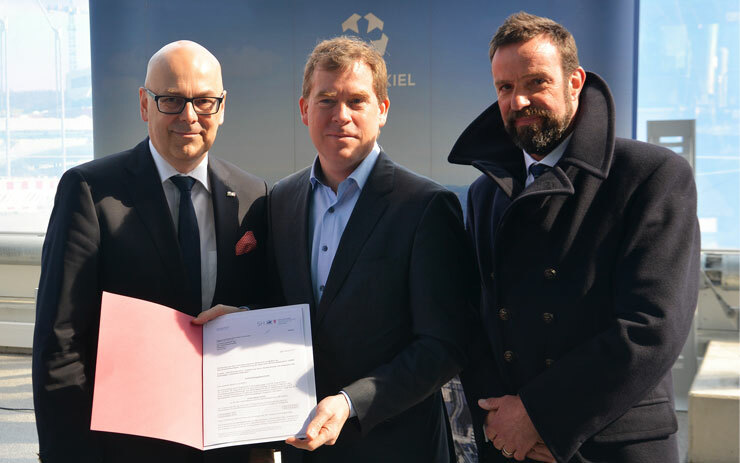 On Thursday, 27th April 2017, State Premier Torsten Albig handed over notification of the relevant approval for EUR 9.9 million to the Lord Mayor of the State Capital of Kiel Dr Ulf Kämpfer. 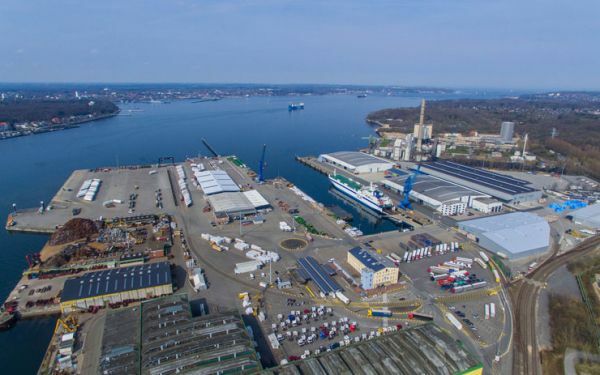 “The integration and re-activation of the former Ortopedia industrial site has strengthened the long-term economic value and employment potential of the port of Kiel. And that in turn has created very good future prospects here in the Ostuferhafen”, Torsten Albig said. 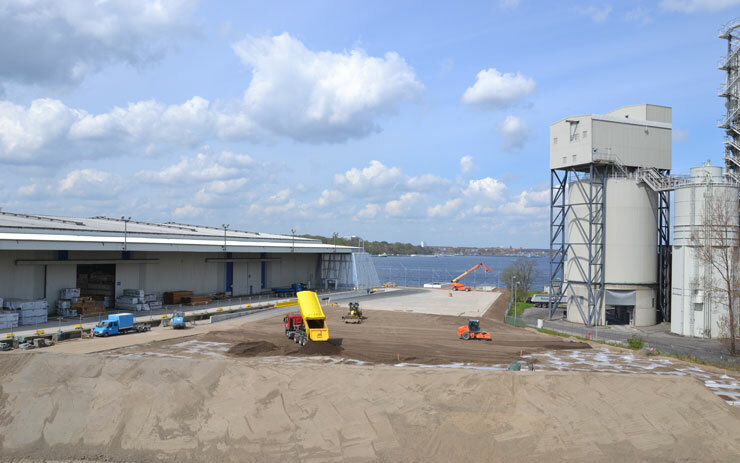 The expansion area has been integrated into the Port of Kiel over the past three years. It serves primarily as a handling, operational and cargo management area and is also utilised for cargo allocation and as a transit storage depot. “From an economic point of view the development of the Ostuferhafen could not have been better”, said Ulf Kämpfer. “Expansion has secured the jobs of more than 350 skilled operators and created 75 additional jobs on site. That’s good for the port, and good for Kiel”, he declared. Since the mid 1980s the Ostuferhafen has been expanded in five phases into a cargo and logistics hub for the Port of Kiel. Nowadays, ferry services into the Baltic and to Russia are concentrated here. Bulk goods like grain, scrap metal and coal are handled and project and heavy lift consignments are loaded and unloaded using two port cranes. Last year a new forest products terminal was taken into operation, which is now served twice a week by SCA cargo ships from northern Sweden. 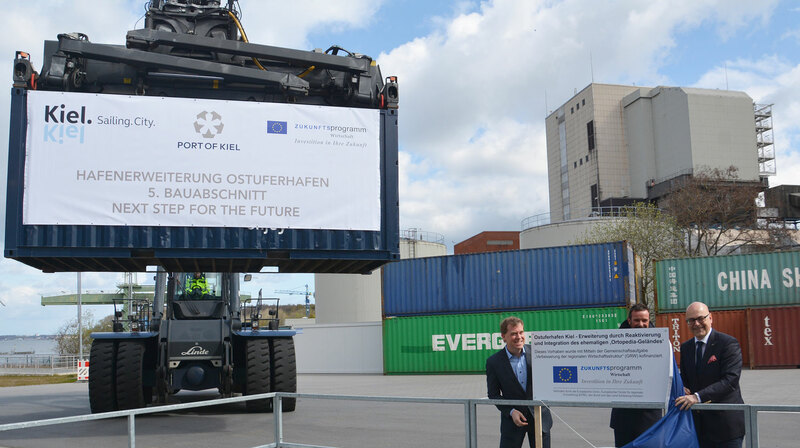 Dr Dirk Claus, Managing Director of the PORT OF KIEL (SEEHAFEN KIEL GmbH & Co. KG) said: “This year we will probably reach the 3.4 million ton handling mark – which would be the best performance recorded to date in the Ostuferhafen. 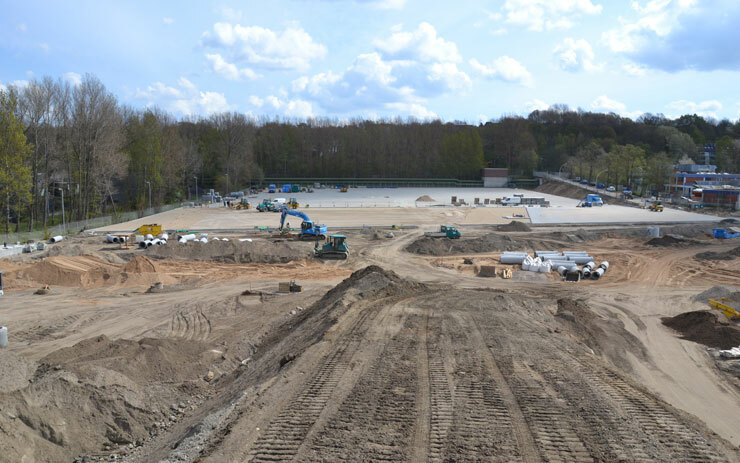 So we can already say that the re-activation of the expansion area has been a complete success”. Total investment of EUR 16.5 million in the integration of the former industrial site has increased the size of the Ostuferhafen by a good 43,500 m² to a grand total of 42.3 hectares. To mark the presentation of the funding approval notification State Premier Albig, Lord Mayor Kämpfer and port head Claus unveiled a commemorative plaque detailing the fifth phase of Ostuferhafen expansion. 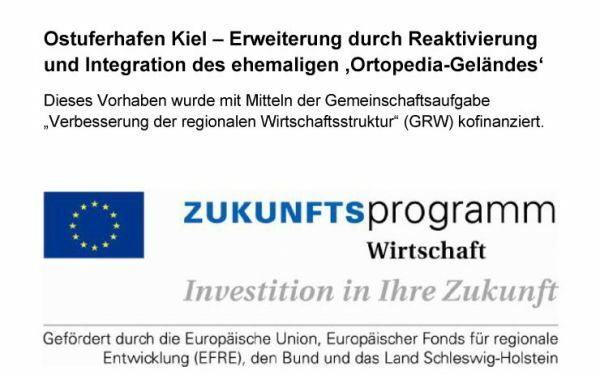 There has been no commercial utilisation of the Ortopedia site – which is located in Salzredder - for 13 years and ever since the firm’s Kiel production depot closed in 2004. The PORT OF KIEL acquired the premises, which lie immediately adjacent to the Ostuferhafen, in 2006, initially as a reserve development site. 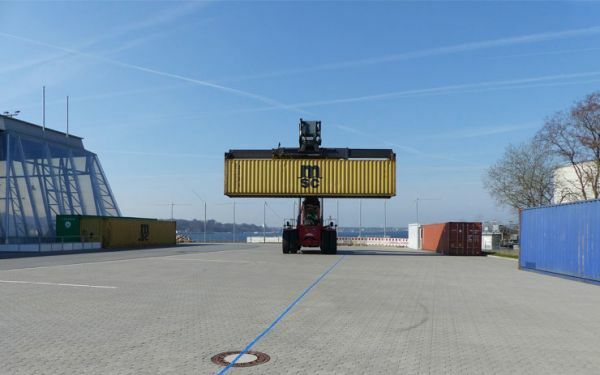 However because of continuous cargo handling growth in the Ostuferhafen – 2.1 million tons in 2004, 2.3 million tons in 2006 and 2.9 million tons in 2010 – it was decided first to demolish the old buildings between 2012 and 2013 and then, early in 2014, to begin work on re-activating and integrating the industrial site. After comprehensive investigation and work to clear the area of old wartime ordnance, the site sub surface was compacted and the site ground level raised to that of the surrounding port facilities. In further building phases, foundations were laid and road and rail track construction was carried out. In addition to this, the site got a new drainage system. Finally, surfaces were paved and power and lighting facilities as well as an ISPS-compliant fencing system installed. Through the expansion 350 qualified jobs have been secured and 75 more have been created at the location. The expansion area serves first and foremost as handling, operational and cargo management area. Integration of the former Ortopedia area. Explanatory plaque about 5th expansion phase.